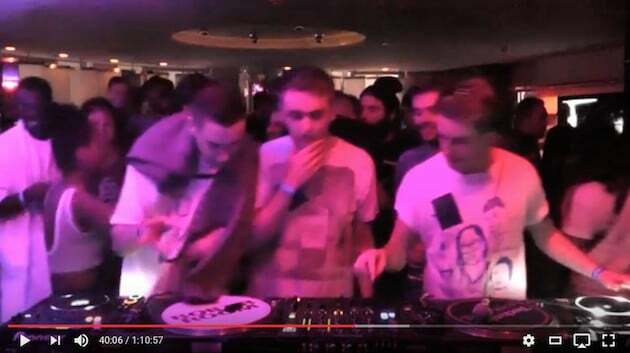 It’s been awhile since our last Boiler Room Breakdown, so we thought we’d return with a classic. 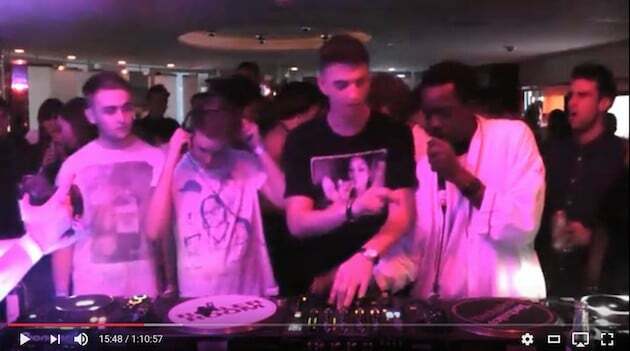 It’s been over three years now, since that fateful night when Skream and Disclosure joined forces in a poorly lit hotel suite but many YouTubers still love to revisit the moment over and over and over again. Aron Sohilait for one; “2016 and still listening” whilst Pat Sty comments; “it’s 2016……. 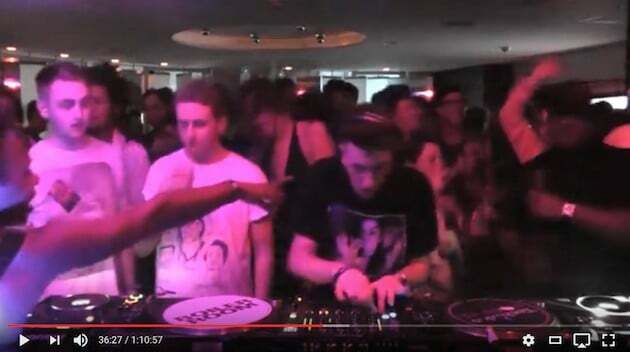 still a legendary set.” But what is it that gives this particular Boiler Room session such replay value? 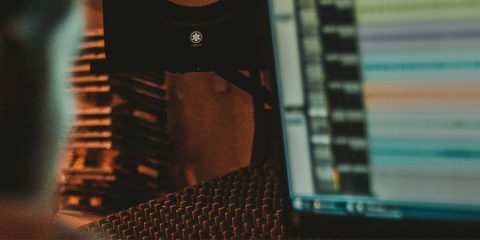 Act One – Everything Cool? 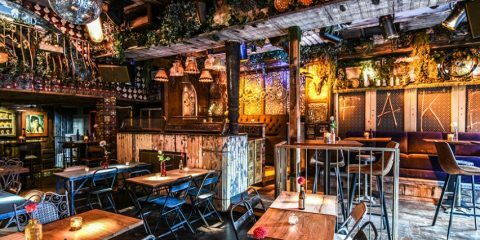 As the curtain rises on the nights proceedings we hear a voice pose a poignant question; “Everything cool?” We see an unnecessarily large throng of DJs and Industry professionals gawping helplessly at the DJ equipment in front of them. Never before have we been introduced to so many faces at once. It seems from their expressions that everything is certainly not cool but the show must go on (or at least make a start). Disclosure One takes time to admire Thris’s robe. Thris seems genuinely flattered that Disclosure One has noticed his fine attire. 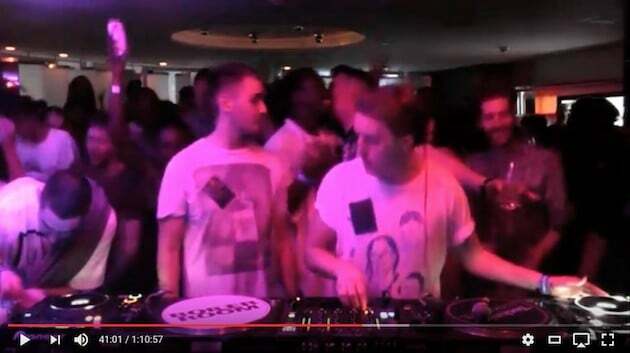 Disclosure One then takes it a little too far with an awkward dance, Disclosure Two looks on in disgust. 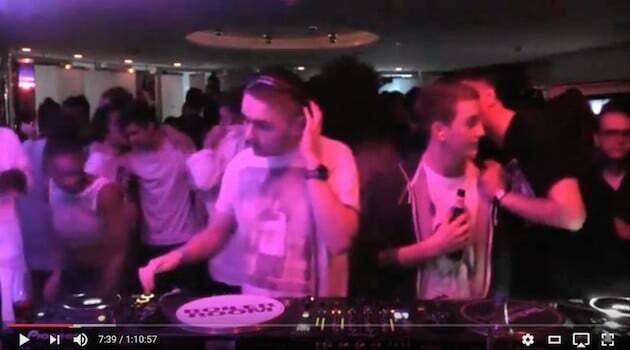 Disclosure One realises he has embarrassed himself as he swigs his beer. Thris remains oblivious. Disclosure Two leans over to Thris and they clearly ridicule Disclosure One behind his back. An apology is made and the brothers seem to put it behind them but it’s only a matter of time before tensions resurface. 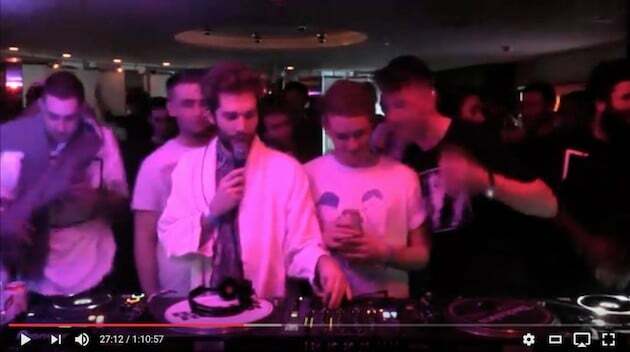 Thris hand a robe to Disclosure Two. At this point it is clear an alliance is forming, one which Disclosure One tries to ignore but is clearly less than happy about. 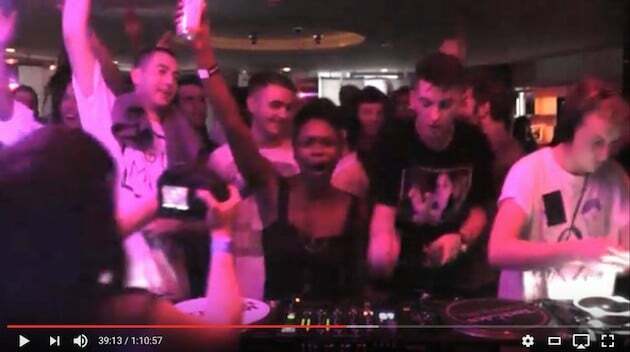 At this point we are introduced to Pointy Finger Lady who very literally redirects the focus by pointing at Skream in the face. 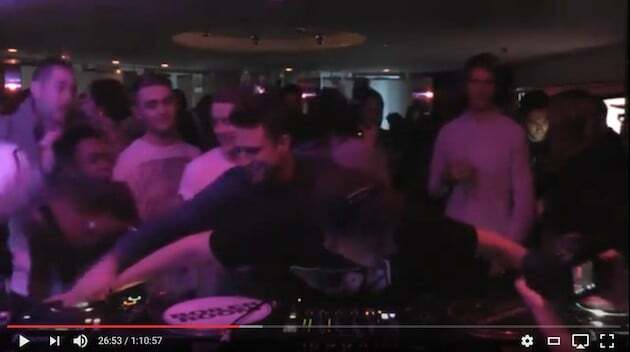 At this moment Skream is mixing out of a delicious Aretha Franklin opener and into a more heavy house track from Shadow Child. 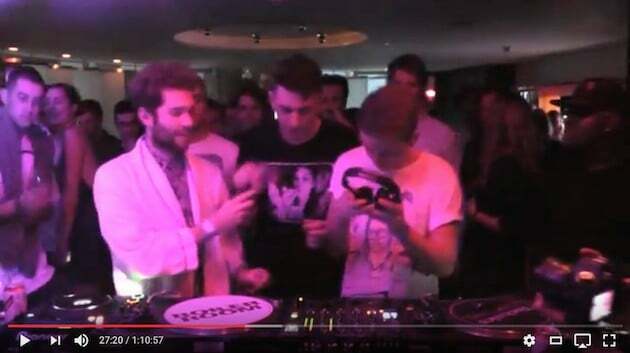 Pointy Finger Lady, aside from offering a light relief, also reminds us that this is after all really about the DJ. 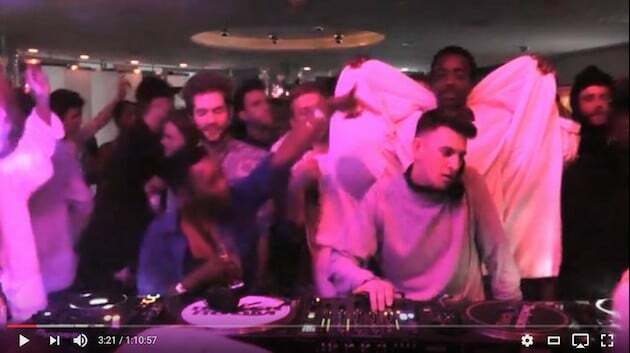 As Pointy Finger Lady continues to do what she does best, Thris spreads his robe evoking the wings of an angel behind Skream. 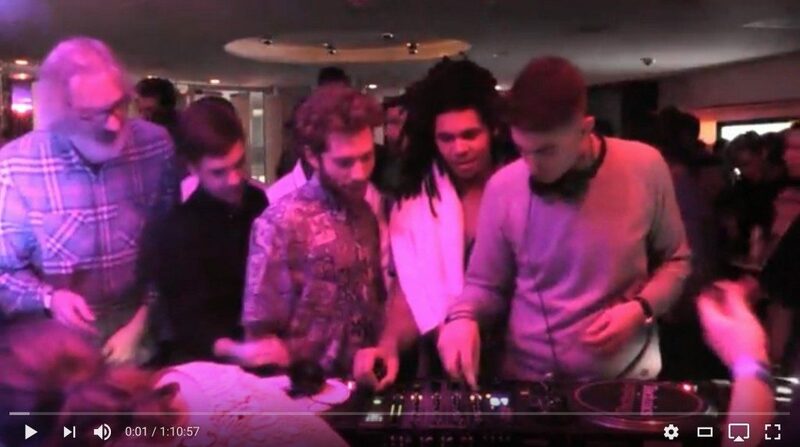 Perhaps suggesting that Skream is in fact divine spirit of some sort, here to purify us with his many styles of bass music and shouting at people. 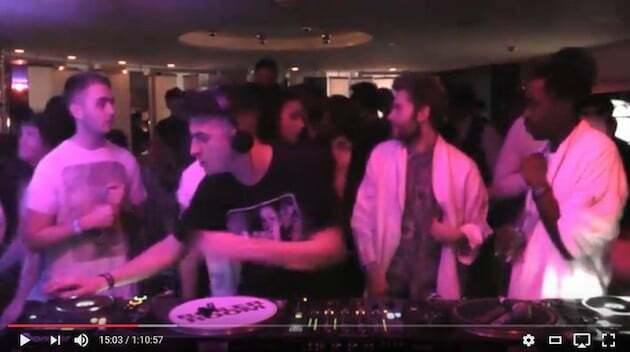 Thris and Disclosure Two continue to bond over their robes whilst Disclosure One is left to do the work of DJing. We are greeted by yet more religious imagery as Matey evokes the virgin Mary with his white robe over his head. The rest of the characters do not notice but the reference is not lost on we the audience. 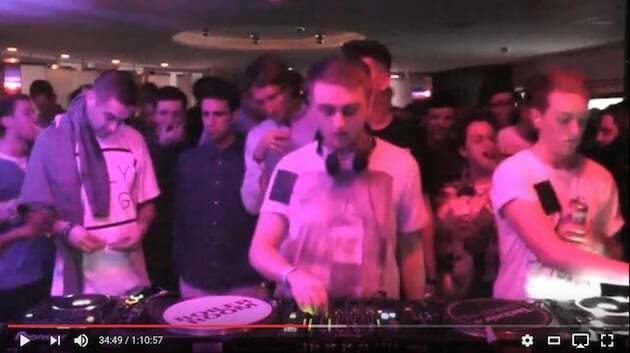 It seems no Boiler Room is complete without a character for YouTubers to obsess over and this one is no exception. 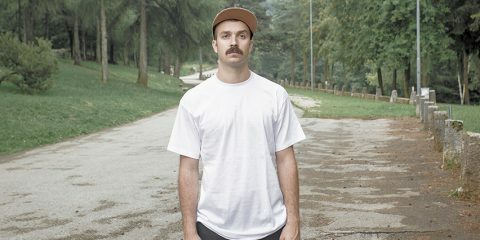 DEOtunes is perhaps our most obsessive YouTuber to date, stating “I love that black girl that shows up at 7:36 dancing on the left. 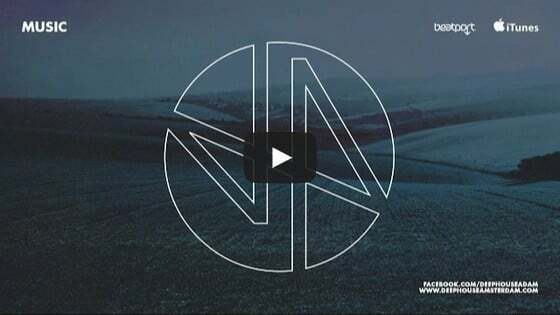 If you’re ever watching this video and read this, look me up on fb. Search “Ran Fis” lol. Unfortunately we cannot confirm whether she did look him up on fb but we’re guessing she did and they are now expecting a child together. 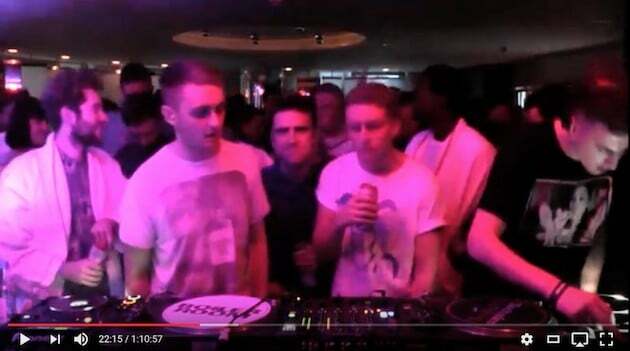 Behind Skream’s shoulder we see Disclosure One whispering in Disclosure Two’s ear. It’s impossible for the audience to know what is said but it results in an unconvincing smile from Disclosure One before he moves away, clearly suppressing a lot of anger. The tension continues to rise. A lady crosses the room. Thris and Matey subtly look over as she walks towards them. 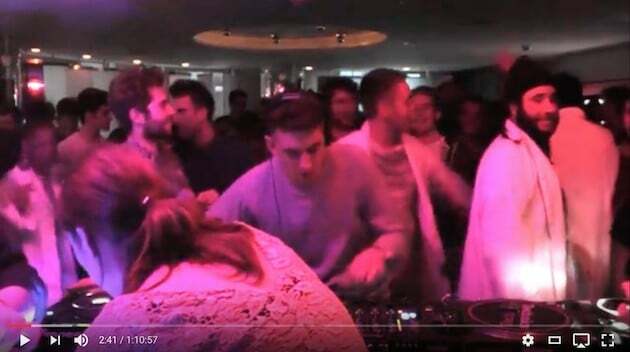 Unfortunately for them she looks disgusted with not only them but Boiler Room as a concept, throwing a particularly scathing glance back at Disclosure One (or was it Two? We’re losing track). As she exits, Thris and Matey laugh it off as best they can but a few seconds later the rejection sets in. 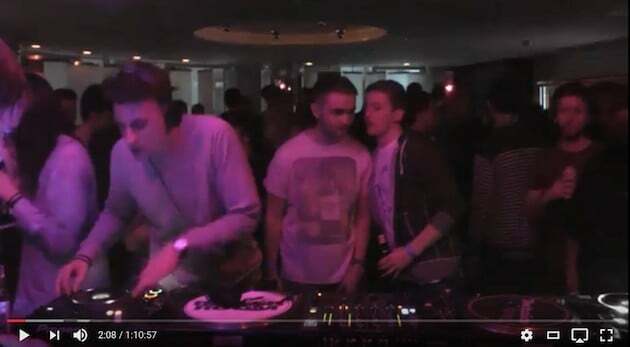 Skream turns off Thris’s mic as he attempts to interject. 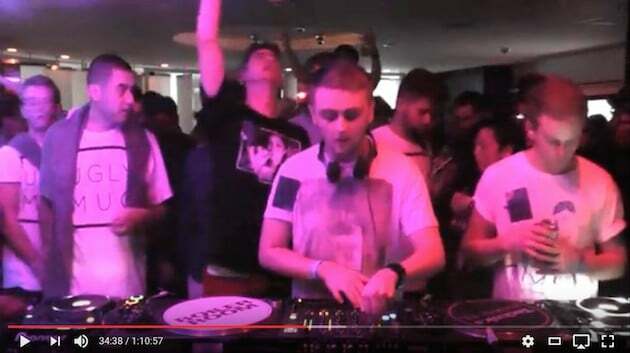 Or as italianjjs550 would eloquently put it “Skream fucked the announcer” to which sauravyash responds (with flawless spelling) “cause the annoucer was stuffing the drop up”. 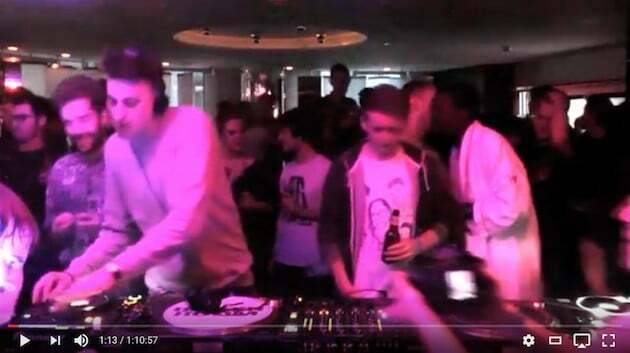 Around the same time we see none other than Jackmaster creeping in, stage right. We are treated to a revelation from Bradley; “Vodka”. A confession of a favourite alcoholic beverage perhaps. 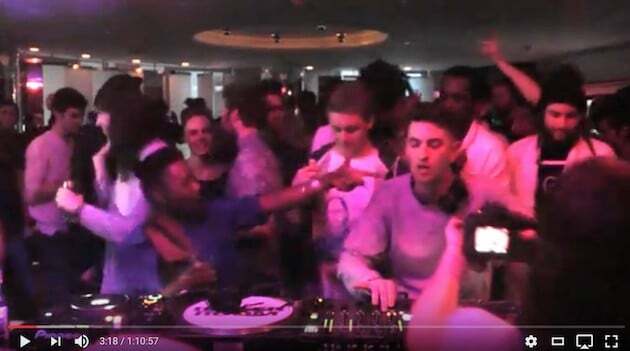 This one seems to fly past the radar of the YouTubers but we notice a classic fist bump / hand shake mix up as Disclosure introduce themselves to Jackmaster. 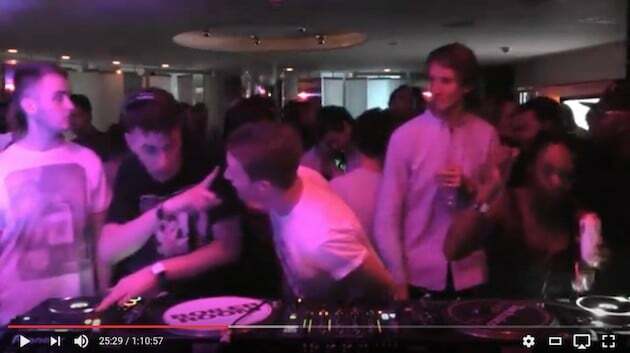 Once again Jackmaster offers some much needed comedy which is not lost on Justin Taylor. 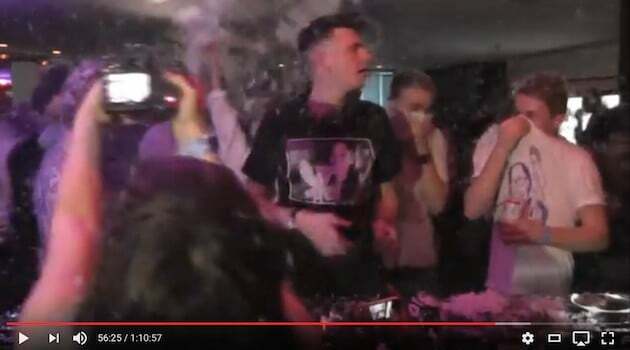 “Love it when Jackmaster drops his beer at 23.30! 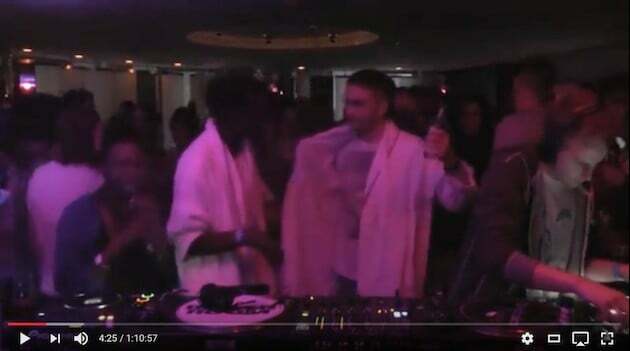 Then he is like I will try behave myself.” It does seem as though after this point Jackmaster reconsiders his shenanigans if only for a while. Matey proclaims it to be rewind number two, sparking confusion amongst the audience. 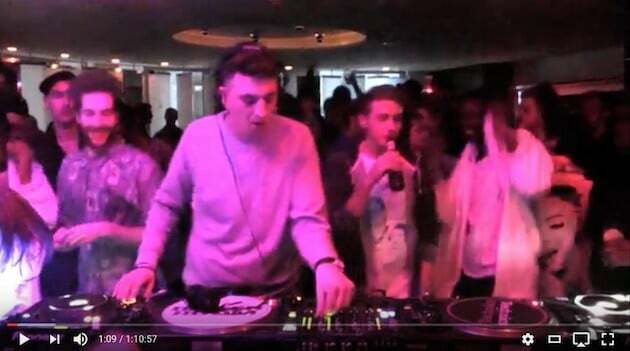 Skream, clearly upset by this blatant disregard for the facts demands the microphone and shows him how it’s done. 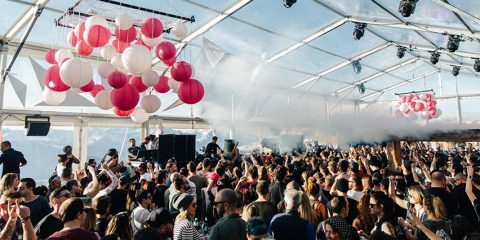 Dustypribor is a big fan of Skream’s hidden talents, suggesting; “Disclosure should just have skream mc all their sets drunk as hell”. To which Aodhán Moran proclaims; “That’s not just alcohol buddy”. 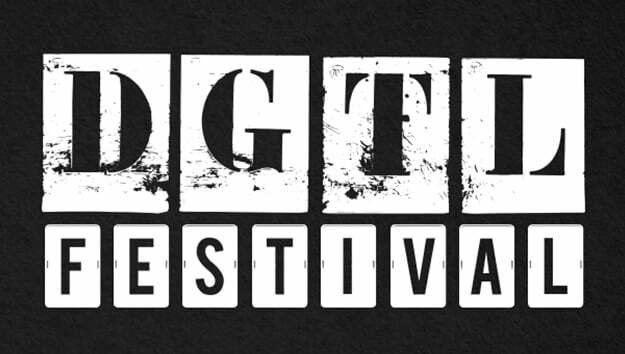 Again we are unable to confirm this statement. 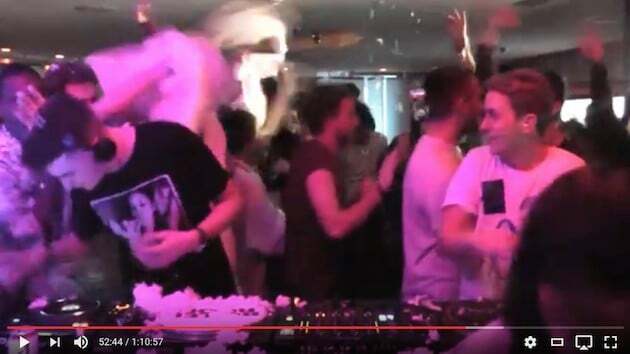 Noticing Disclosure One is feeling a bit overwhelmed by the rising tension, Skream goes over to try and cheer the little guy up with a hug and some kind words. This seems to work at least for a short while. 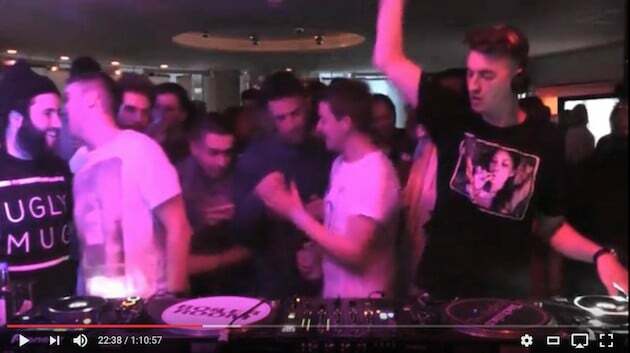 Skream raises his arm and points to the heavens. Again, we the audience are lead to consider the character’s holiness as he seems to be guided by some kind of higher force. Aodhán Moran’s comment; “That’s not just alcohol buddy” takes on new meaning. 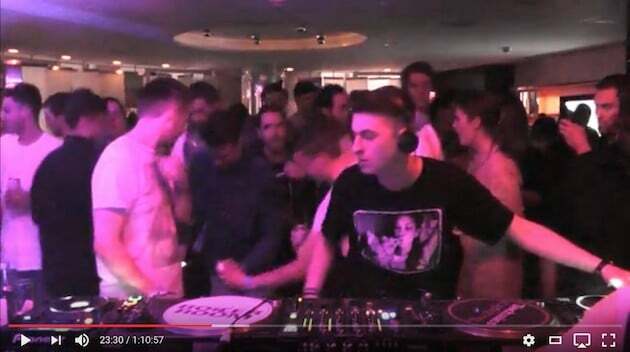 In the wake of Skream’s holiness, Jackmaster gazes off into space. Even our comic relief character seems stunned by the situation. Yet again just as tension has reached fever pitch, we are greeted by Pointy Finger Lady, this time entering from the audience’s perspective making her point even more clear than before. 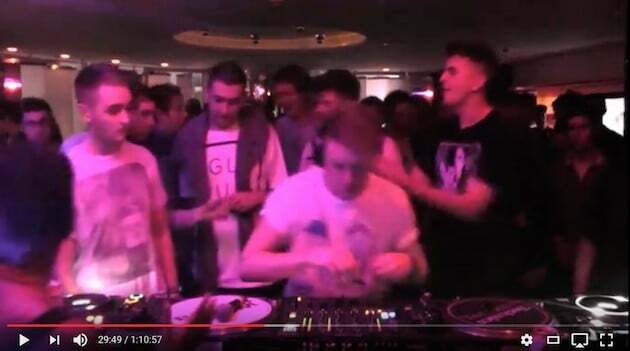 Skream himself seems completely oblivious. The guilt is clearly starting to get to Disclosure One as he grabs his head in shame. From this stage onwards we really start to see how the characters conscience gets the better of him. 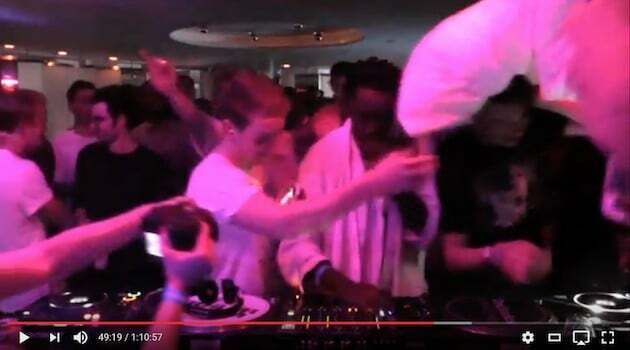 After another rewind, this one our third, the hotel pillows are brought out as Skream drops Disclosure’s remix of Jessie Ware’s “Running”. 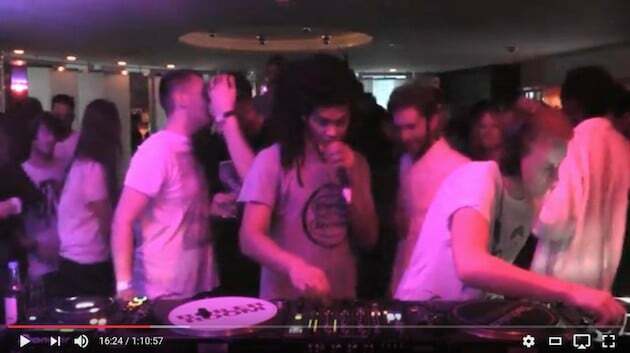 As Skream very wisely puts it “Yo, allow the fluff”. 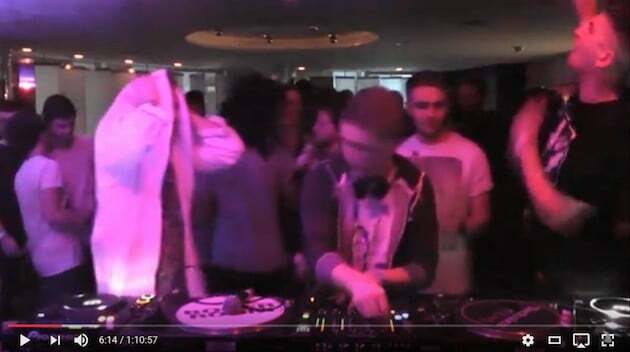 Skream, now surrounded by cloud like white fluff, continues to DJ through the mayhem. The heavenly imagery is not lost on the audience but it seems at this stage most things are lost on the characters themselves. Skream himselfs seems to reject the surroundings completely at first. 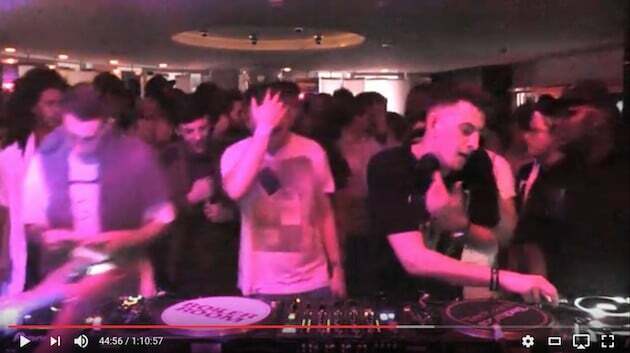 Disclosure One puts his hands on his head in an expression of pure hopelessness. As chaos ensues, it’s clear from his body language that he has no fight left. As the clouds of feathers fill the air it seems bothcDisclosures are struggling to survive. 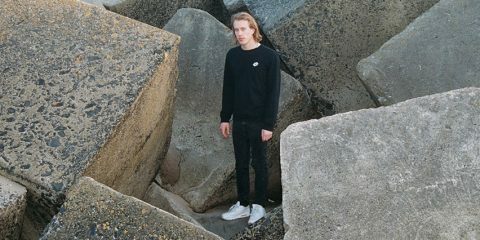 Meanwhile Skream stands tall and defiant looking around for a solution. 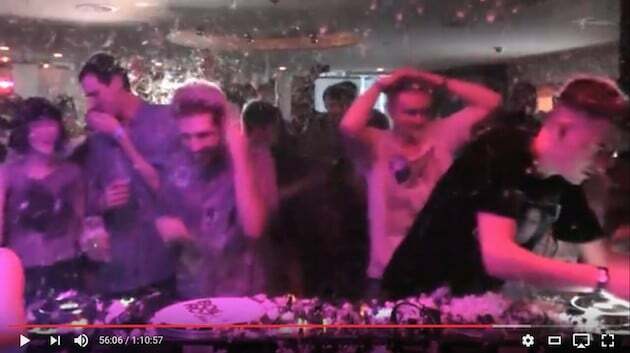 As Prince’s classic “I wanna be your lover” drops, things get even more mental. By this point Disclosure One is lost in the mele, possibly never to return. 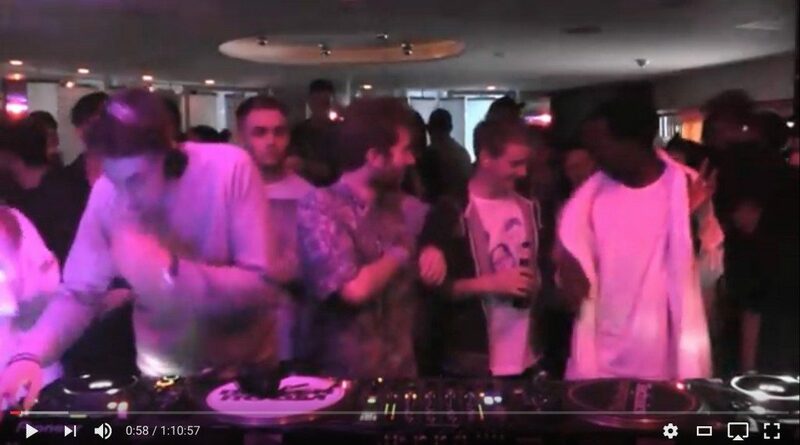 Disclosure Two doesn’t seem to miss him at all and instead goes for a big Skream hug. 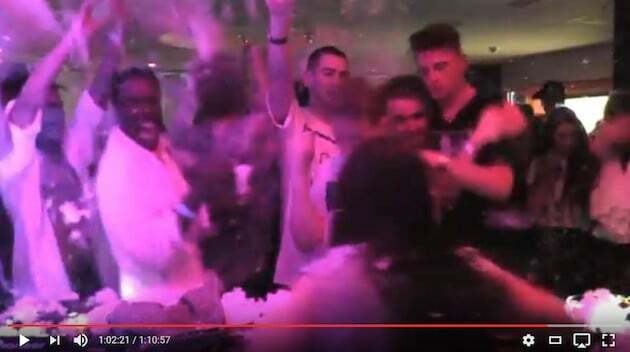 As if to confirm Skream’s divine credentials, we see him being carried across the crowd, lifted high into the air. After that point the throng of MCs and Industry Professionals take over in a series of sign offs. While the stars of the show disappear into the clouds of white feathers. 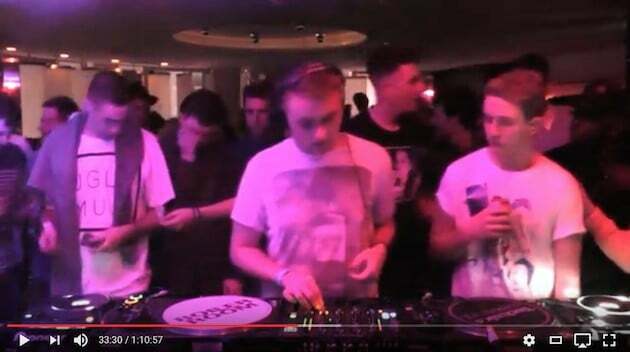 This Boiler Room certainly offered up a lot of dramatic moments and a whole lot of tension to boot. It’s no wonder people keep going back to watch it play out over and over and over again.